Sarah Thomas didn’t set out to become a pioneer – in fact, her path to the NFL was born out of mild curiosity. One day, in her early 20s, she decided to tag along with her brother to an officiating seminar and quickly established herself as a youth league and high school referee. Though she had always been involved in sport – having earned a basketball scholarship at the University of Mobile in Alabama – there was no burning desire to reach the upper echelons of American football until catching the eye of a former NFL official, Gerald Austin, in 2006. 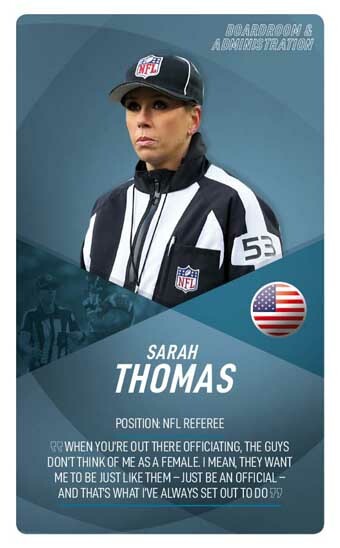 From there she was worked into the college football rotation and it was in 2015 that the NFL appointed Thomas as the first permanent female official in league history. It had only taken them 95 years. 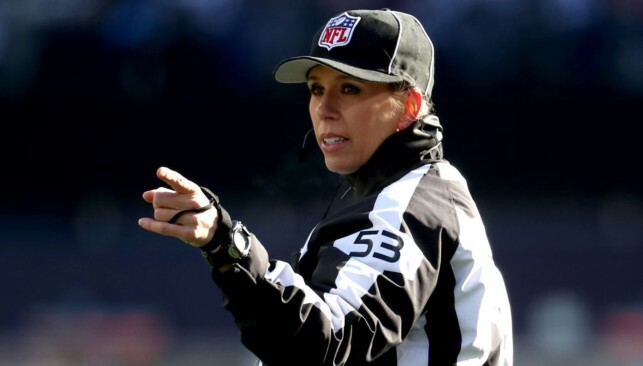 – Thomas broke new ground last season when she became the first woman to be assigned as an on-field official for a playoff game, in the New England Patriots’ victory over the Los Angeles Chargers. – The 46-year-old still holds down a day job as a pharmaceutical sales representative, as most officiating positions in the NFL are not full-time posts. – It is not just in the NFL that Thomas has made her presence felt. Her college milestones include officiating a Bowl game between Marshall and Ohio in 2009, and her first Big Ten game, Northwestern hosting Rice, two years later. Thomas broke her wrist while officiating a game between the Green Bay Packers and the Minnesota Vikings as a line judge in 2016. She was driven into the ground after a receiver made accidental contact on the sidelines, but she returned after a brief evaluation under concussion protocol to finish the game. 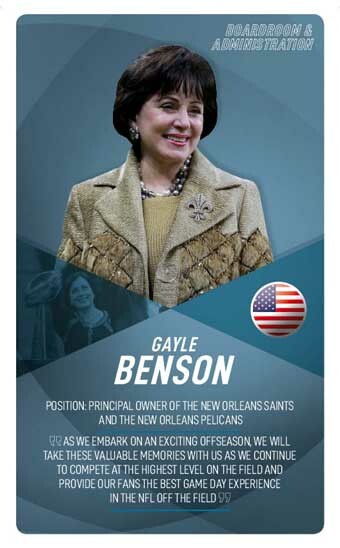 When it comes to professional sport in New Orleans, the Benson family name has become synonymous. Patriarch Tom became owner of the NFL’s New Orleans Saints in 1985 and NBA’s New Orleans Pelicans in 2012, leading them both until his death in March 2018. 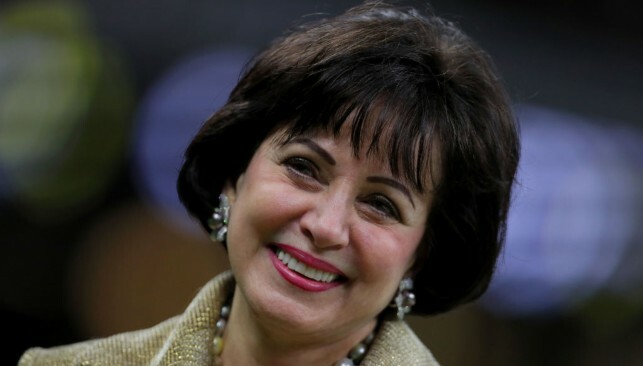 Despite a multi-year dispute with his daughter and grandchildren over control of family assets, third wife Gayle was cleared upon his passing to become the first woman to be the majority shareholder of the voting stock in both an NFL and NBA franchise. Benson did not hide in the background during her first year in charge, making the rare pronouncement for an NFL owner to “aggressively pursue changes in NFL policies” after the infamous failure to issue an obvious pass interference penalty against Los Angeles Rams that helped set-up a painful overtime win in January’s NFC championship game. Saints had last reached that stage in 2009/10, showing the extent of her impact. – In the Forbes 400 ranking of the wealthiest Americans, Benson was placed 298th with a net worth of $2.9 billion. – Gayle and Tom married in October 2004. – The 72-year-old is one of four women listed as primary owners of NBA franchises and one of four who are controlling owners of NFL franchises. No other women has both. She and Tom Benson had their first date at a VooDoo arena football game on Mother’s Day in 2004. Slater has carved out a proud career in sport, both in front of and behind the camera. 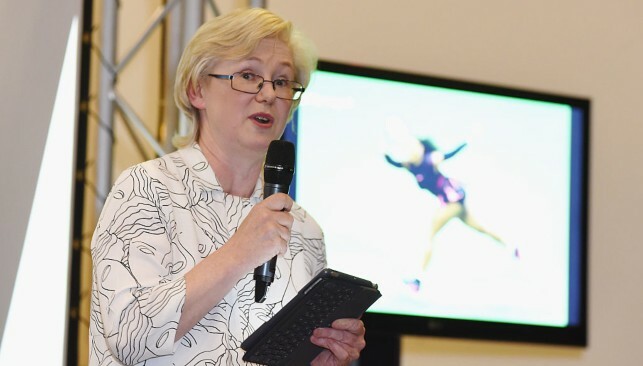 The 59-year-old became the BBC’s first female Director of Sport in April 2009, landing one of the most-influential jobs in British television. More than three decades prior, the high flyer – in a literal sense – had carried the United Kingdom’s flag at the 1976 Olympics, where she competed in the gymnastics section. A move into television production followed and she steadily worked her way up the corporation’s hierarchy as a producer, senior producer, and executive producer. Slater has gone on to organise coverage for the 2012 London Games, plus manage BBC Sport’s relocation from the capital to Salford. Winning back broadcast rights for the FA Cup was a recent success, but cuts – across the BBC – of £800 million make managing the sports portfolio an increasingly fraught task. – Slater is responsible for 20,000 hours of BBC sports programming. – A third of women now make up BBC Sport’s workforce, according to Slater. 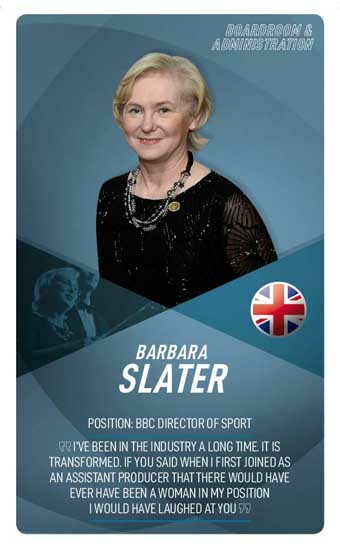 – Slater was appointed Officer of the Order of the British Empire (OBE) in the 2014 Birthday Honours for services to sports broadcasting. Slater’s father, Bill, was named Footballer of the Year in 1960, played for England and is the scorer of Blackpool’s fastest-ever goal (11 seconds, versus Stoke in 1949).